Medical images contain material that some may find objectionable. View with discretion. 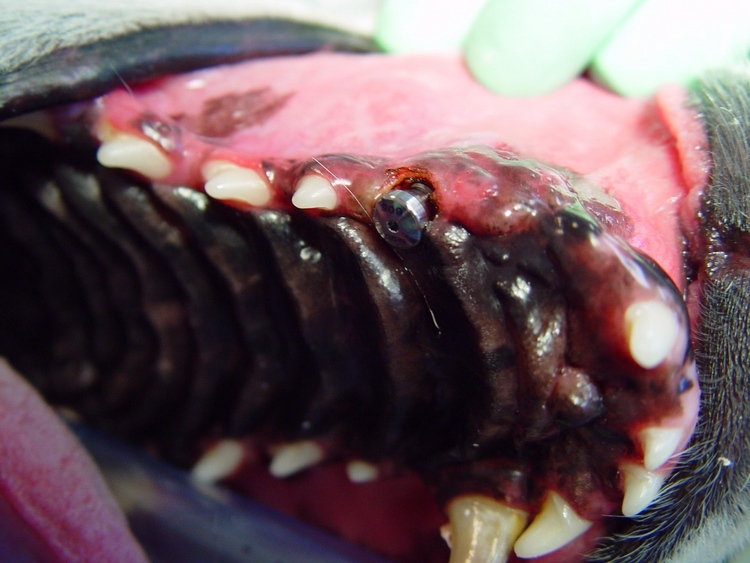 V eterinary dental implant surgery involves 2 active stages plus the pontic (artificial tooth) placement to complete. Adequate time intervals are necessary between the stages to assure total integration into the surrounding bone (osseointegration). 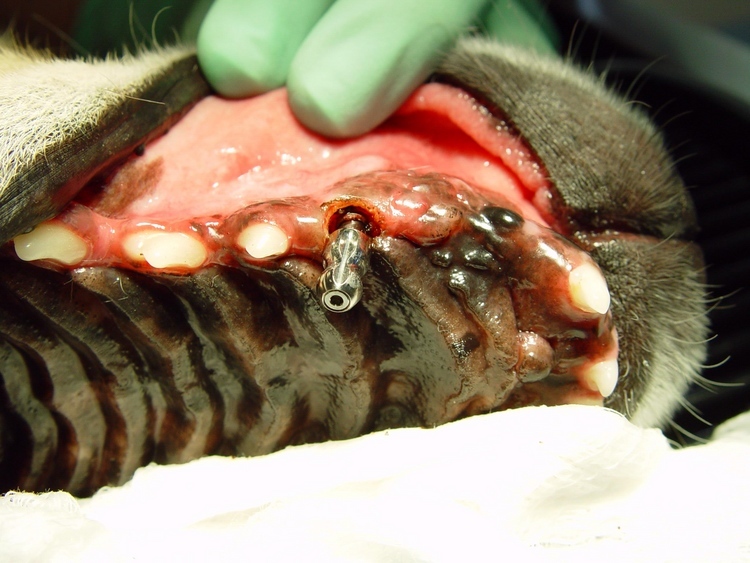 A second anesthetic procedure is needed to accomplish this stage of the total implant treatment. As always the surgical anesthetic protocol is initiated and the patient is ready for this phase. 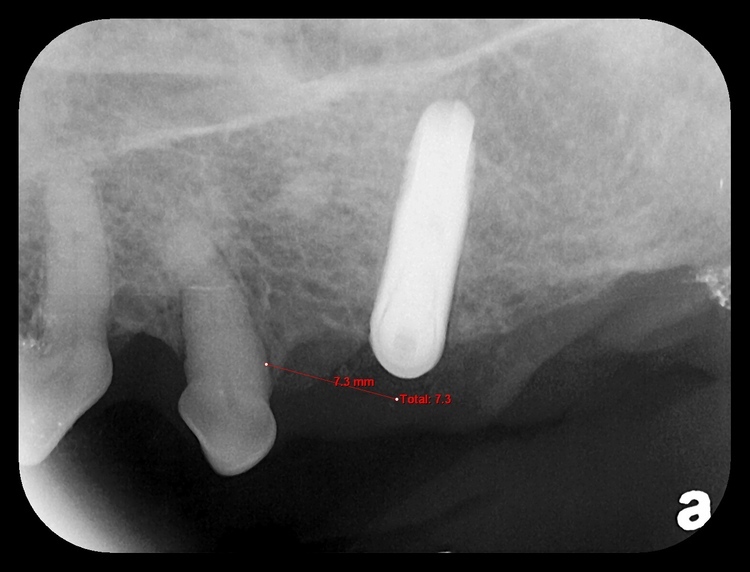 I ntraoral radiographs are taken of the site to reinforce that the integration process is progressing adequately. 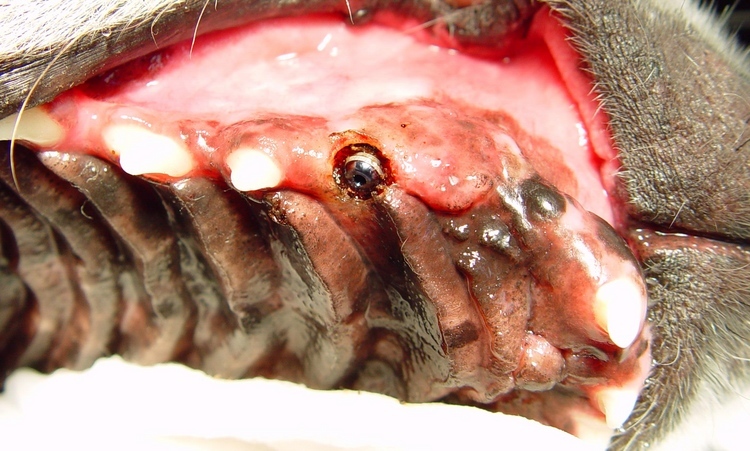 Surrounding bone is evaluated for any hint of infection and/or failure. 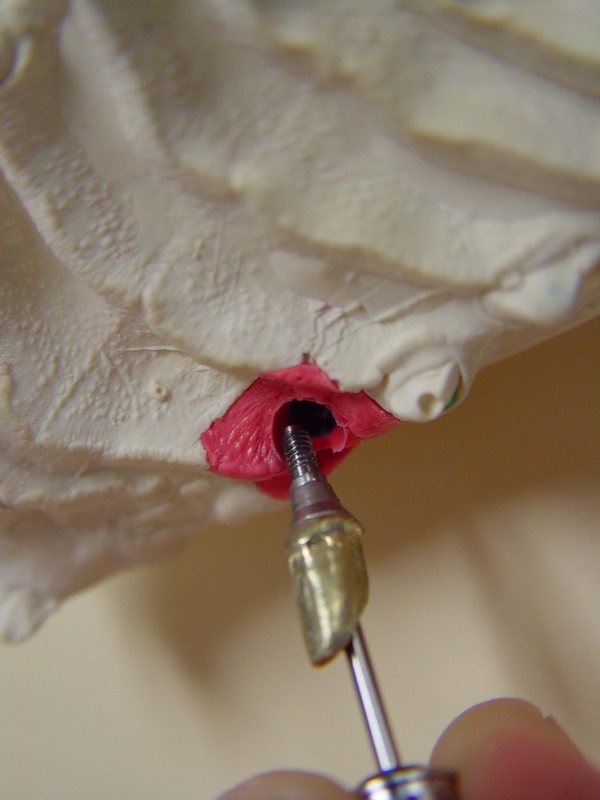 L aser tissue modification is used to remove the gingival overlay and expose the cover screw. The cover screw, which has been secured subgingivally for 2-4 months, is removed while at the same time confirming the implant stability. A transfer impression post is attached to the buried implant and a complete set of impressions are made of the upper and lower arches. A single impression of the post is made as well. The full set of impressions and applicable analog are sent to the specialty lab for the final models, fabrication of the permanent post, and crown. 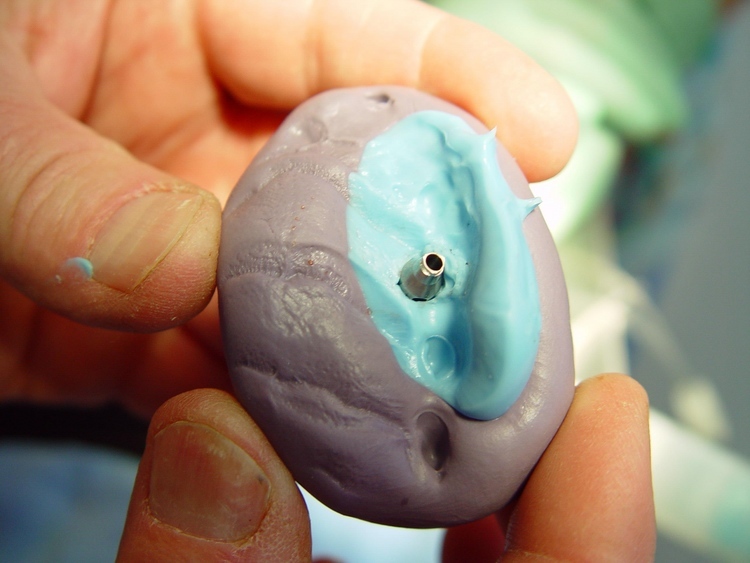 S ubsequently the transfer post is removed from the implant and a healing abutment is firmly attached. 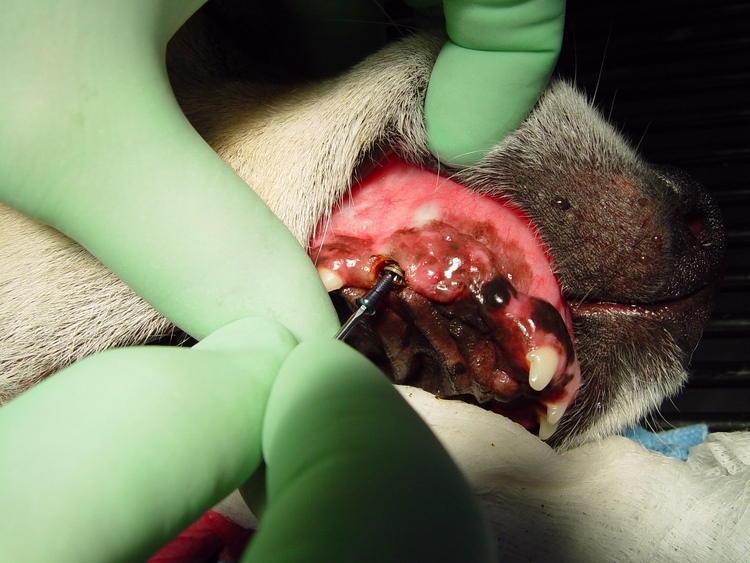 Healthy gingival tissue will fill in around the exposed site. The healing abutment will be removed in 1-2 months and the final gold post and crown affixed. 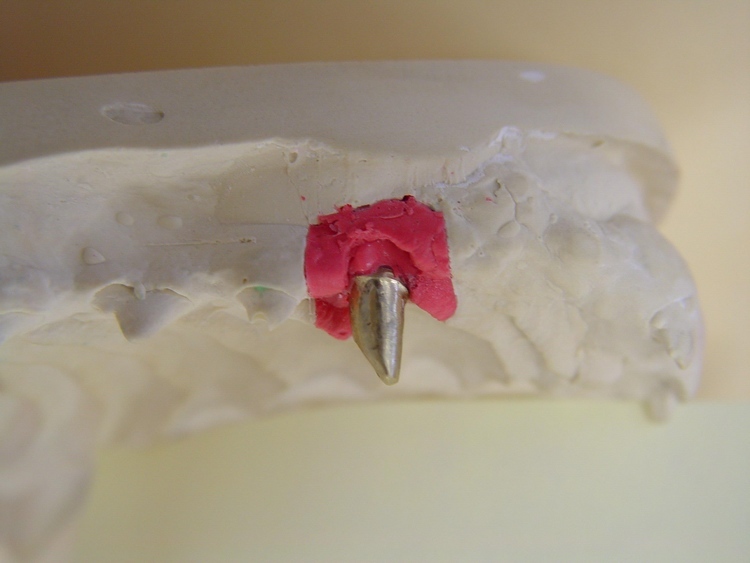 P recision C eramics will duplicate the identical screw form implant into the stone model enabling the final post to connect perfectly. The prosthetic crown will link to the post.